Skateboarding has it power-house legends, all known for their varied and unique degrees of 4-wheeled prowess— from mega-ramp riders in the X-Games to the professional street-skaters buying up mansions just for throwing parties. Each has their “thing” they’re famous for. How they’d developed and adapted their proportion, size, scale and skills to the terrain, or chosen discipline, into world-wide recognition are each unique stories of their own. 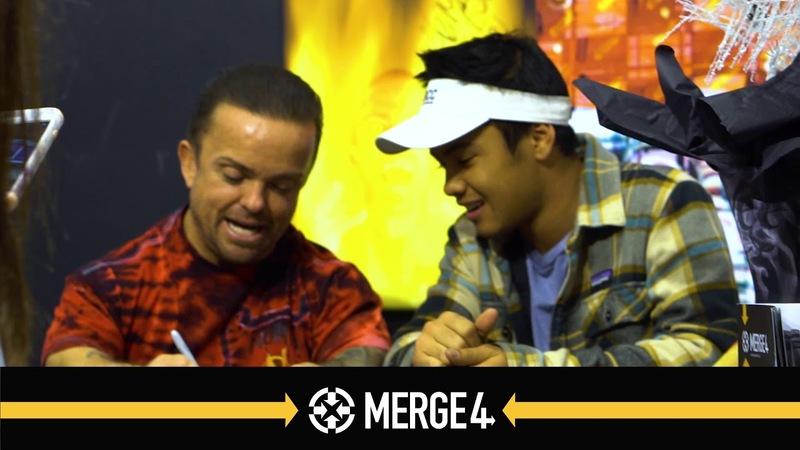 All of that changes, and the physics involved take on an entirely new meaning when it comes to Wee Man, and vast, new perspectives in skateboarding open up to a level unobtainable by most all other skaters. Watch him ride. You’ll see what we mean. Unless you’ve lived under some dang rock the past 2 decades, you know who WeeMan, who will ONLY cash checks made out to Jason Acuna. We KNOW you’ve seen him, from playing a convincing antagonist in the popular movie and episodes we can’t mention, to insane stunts, gags, film-bits, video-bits and bacon-bits.